House with traces of Minho farm-houses with garden and orchard overlooking the mountains. The house has central heating and fireplace, has capacity for up to 12 people, has 5 bedrooms (4 en suite with wc), mezzanine with room with billiards and wc. It also has two rooms and kitchen equipped pantry. An invitation to relax and well-being in communion with nature. Obrigada pelo seu comentário Kristof. 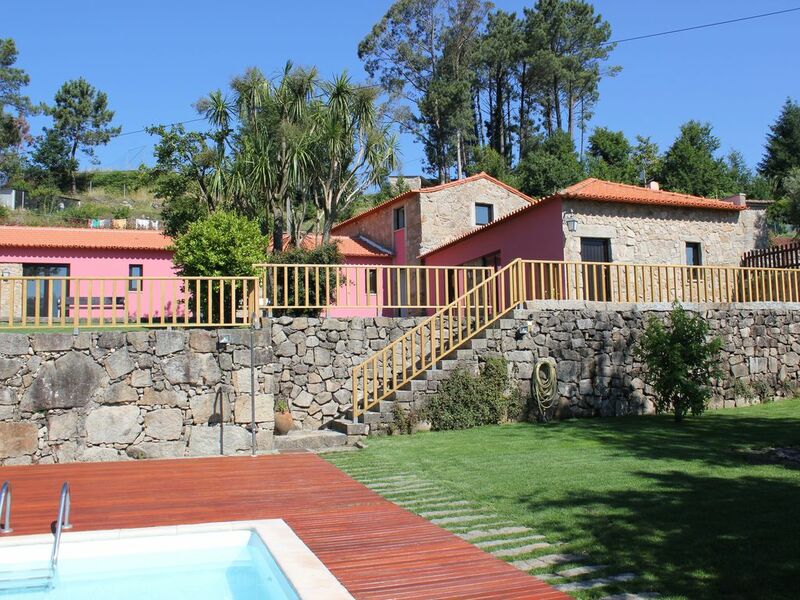 During your stay at Casa do Monte's Place, can not fail to know the gastronomy of the region: River Coura the trout, filled the goat meat and lamb (created in the hills) that give rise to various regional dishes. As for desserts, we highlight the donut, corn crackers, the french toast and formigos famous of which the honey in the region gives a special touch.